I bought a mobile phone here a little bit ago. DD who had a mobile phone syndrome in Japan MUST buy it here. In this connection, the prevalence of the mobile phone in Scandinavian countries are the top class in the world. Finland is the first, and other three countries (Norway, Sweden, Finland) also come within 10th-ranking. By the way, I bought the mobile phone from the nearest electric shop. 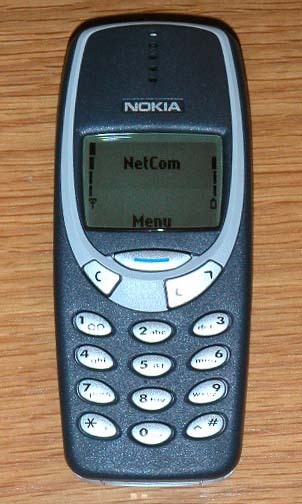 There were many kinds, but NOKIA is the typical maker in Scandinavian. 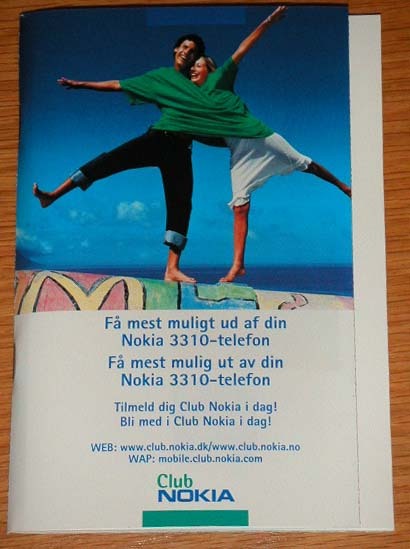 So, I decided the cheapest model 3310 of NOKIA. It const 998Kr. The base charge of month is cheap, but the call rate is expensive. The base charge of month is expensive, but the call rate is cheap. I didn't think I often make phone calls, so that I decided the pre-paid of NETCOM. The cost of mobile phone in the contract was 998Kr., which included a 100Kr. of pre-paid card. 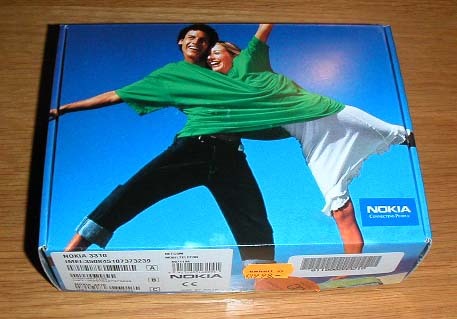 The package of the mobile phone is like this. It seems......? The mobile phone itself is like this. Of course, the display is monochrome, and bell is a melody but single tone. I have never hear harmonic one here. 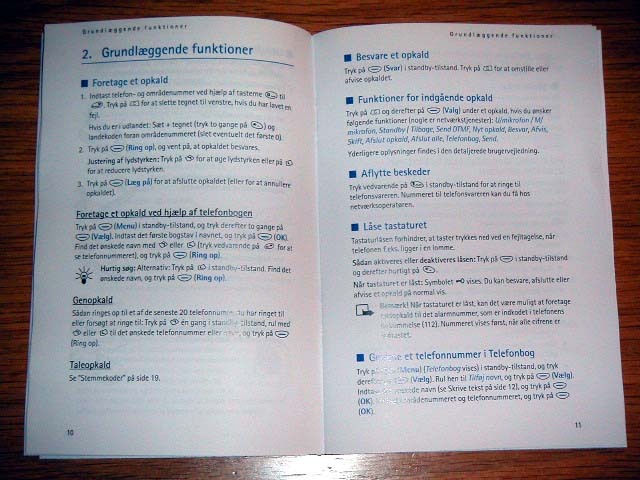 This is the manual. Of course, it's only Norwegian! I can not understand at all what it says (laugh). The mobile phone here is much heavier and more heavy-duty than that in Japan. And it has no internet e-mail function (Communication by short message is possible.). As said above, the display is monochrome, and ring bell is single tone. But you can't despise the mobile phone in Scandinavian. For example, by using the mobile phone in which the individual ID card named SIM is inserted, you can but juice from vender machines, and can pay for parking area and supermarket in Finland and Sweden (Not anywhere, still a part).